← Spy’s Honor is out today! Note: I originally posted this on the Epic Fantasy Romance blog. I’m reposting here so that those of you who don’t read that blog can see it. What do you imagine when you think of a strong heroine in fiction? I think a lot of us imagine someone like Buffy the Vampire Slayer — a heroine who can take down bad guys with her mad fighting skills. In the first book of my Hearts and Thrones series, Assassin’s Gambit, I wrote that type of heroine. Vitala is no damsel in need of rescuing; she’s a highly trained, highly skilled assassin who seduces and kills political targets to help her oppressed country win its freedom. I love Vitala to death, but I think there are other ways that a person can be strong. Can a strong heroine be nonviolent? 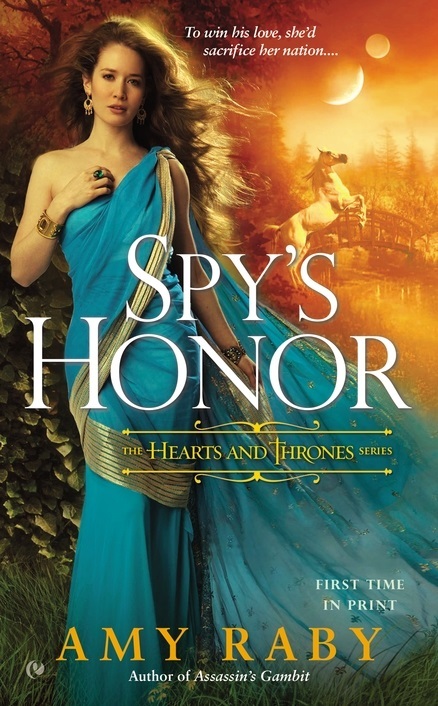 In Spy’s Honor, the second Hearts and Thrones book, I explored a different variety of strong heroine. Rhianne is gentle and nonviolent. I don’t think she picks up a weapon even once throughout the course of the book. She does possess powerful mind magic, but even that she uses with restraint. What makes Rhianne strong? She thinks for herself and she stands up for what she believes in. She knows that her uncle, Emperor Florian, is capricious and cruel, so she quietly helps the victims of his cruelty, sneaking them out of the palace or providing them with needed resources. At the beginning of the book, she has a friendly relationship with a former imperial guard who was crippled during an assassination attempt and whom the emperor dismissed without pay or pension because he was displeased with the man’s inability to stop the assassination. In honor of his loyal service, she regularly sneaks him the money for the pension he should be receiving. Later, she becomes involved in bigger events, such as the emperor’s mistreatment of the Mosari people. She finds herself caught between her conscience on one side and her desire to be loyal to her family on the other. Rhianne is not violent, but she actively resists mistreatment, both of herself and of others. She stands up for she what she believes in. She is not afraid to speak truth to power. And that makes her a strong heroine. Spy’s Honor is available now from many retailers. 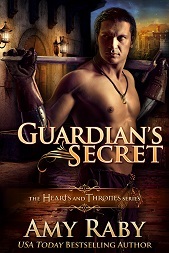 This entry was posted in Fantasy, Writing and tagged Assassin's Gambit, hearts and thrones, rhianne, spy's honor, strong heroine, vitala. Bookmark the permalink.